Intra Europe Flight Sale for 5 Euros, Act Fast! | No Mas Coach! 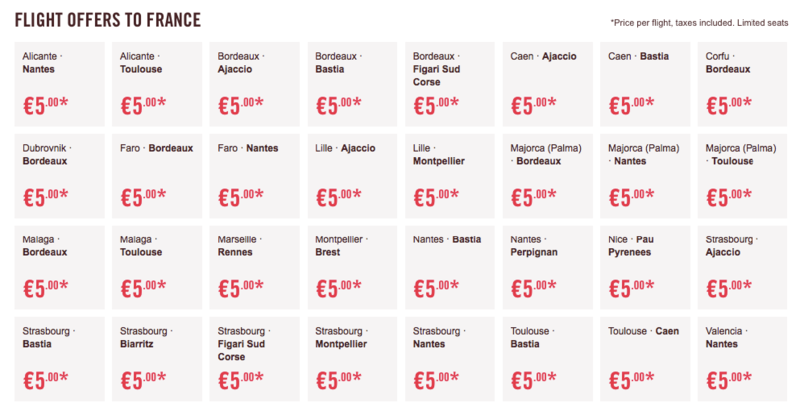 Home » Fare Sales » Intra Europe Flight Sale for 5 Euros, Act Fast! Intra Europe Flight Sale for 5 Euros, Act Fast! Well isn’t this interesting. 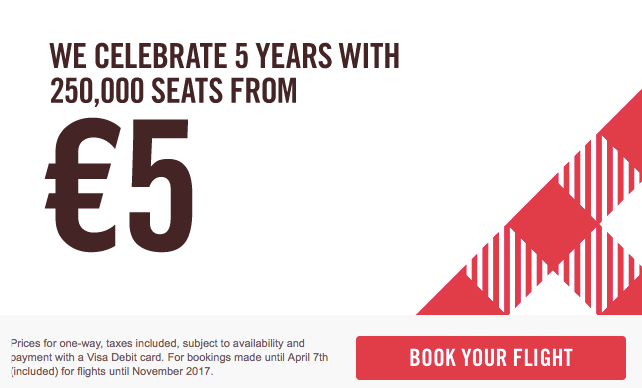 In celebration of 5 years of service, low cost carrier Volotea is offering an intra Europe flight sale for only 5 euros! The sale is good until April 7th, so act fast! 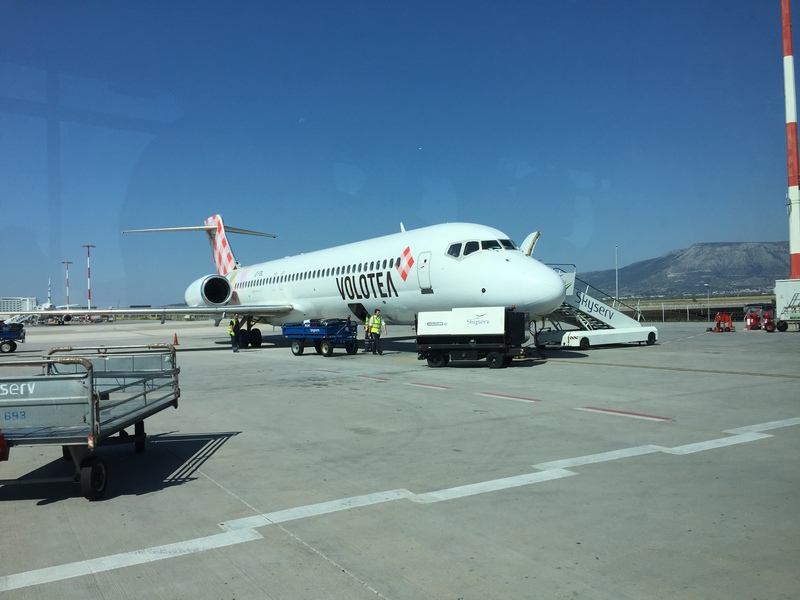 We had the pleasure of flying Volotea last year from Athens to Santorini (one of the routes available for 5 euro) and it was a perfectly pleasant flight. Just know that you are flying a low cost carrier so there will be charges for everything. 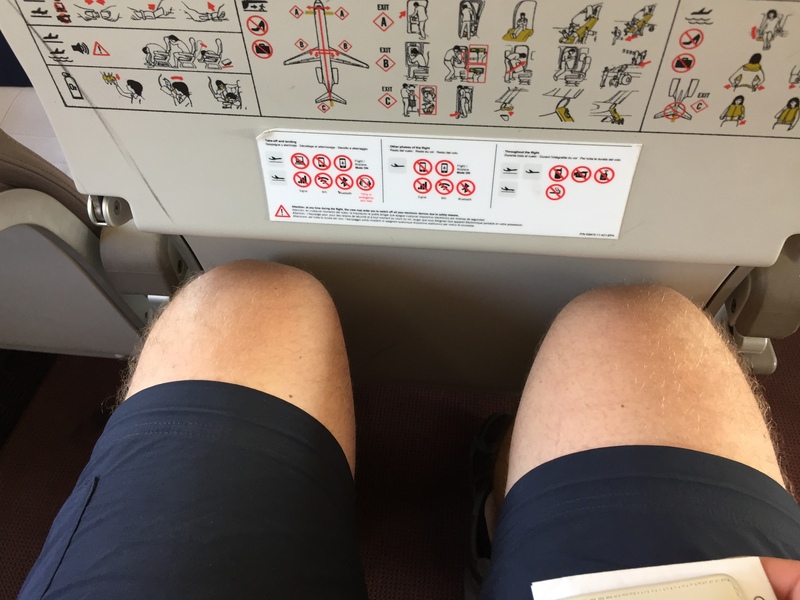 And don’t get too comfortable thinking you’ll get a lot of legroom 🙂 As you can see, I had about 3/4 of an inch to spare. The sale, in contrast to their legroom, is quite generous, and spans a lot of countries all over Europe. 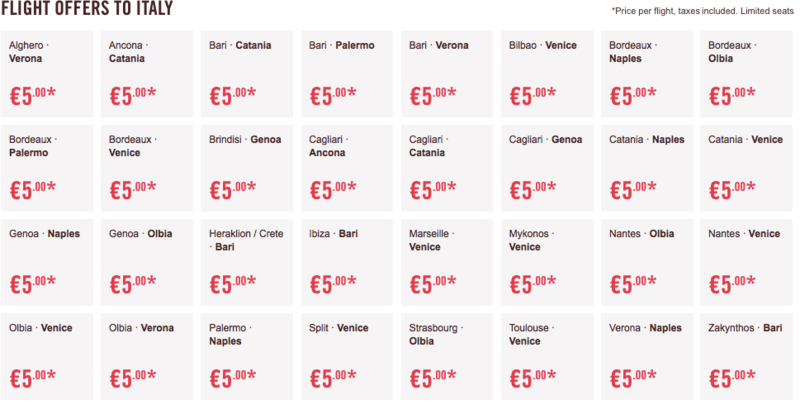 Here you can see offers to Italy and France for example, with almost every route on sale. There are tons of destinations including Strasbourg, Athens, Cannes, Valencia, Bordeaux, Majorca, Venice, Naples, Palermo, and more. The sale is good for almost all dates through the end of schedule, currently November 2017. This includes high season in Europe, which is typically June, July, and August. When we flew, we paid a little bit extra for leg room (exit row) and our 1 piece of luggage, but even then, at 5 euros each, you can’t complain. It’s a perfectly good service for a short haul flight, and we’d be happy to fly them again. Are you going to take advantage of the sale? Let us know if you snagged a deal below!